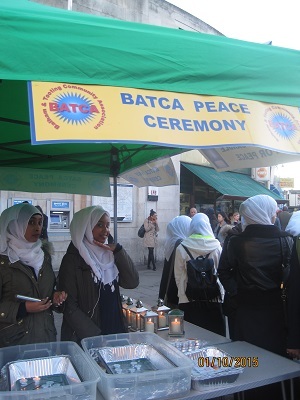 We’d like to share with you these photos of the BATCA Multi-faith Peace Ceremony on 22nd September 2016, which was a moving occasion. 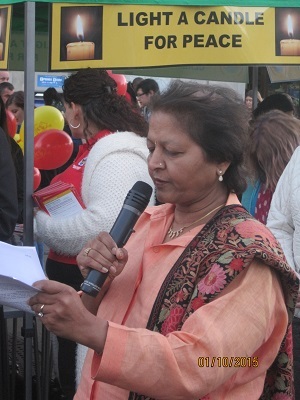 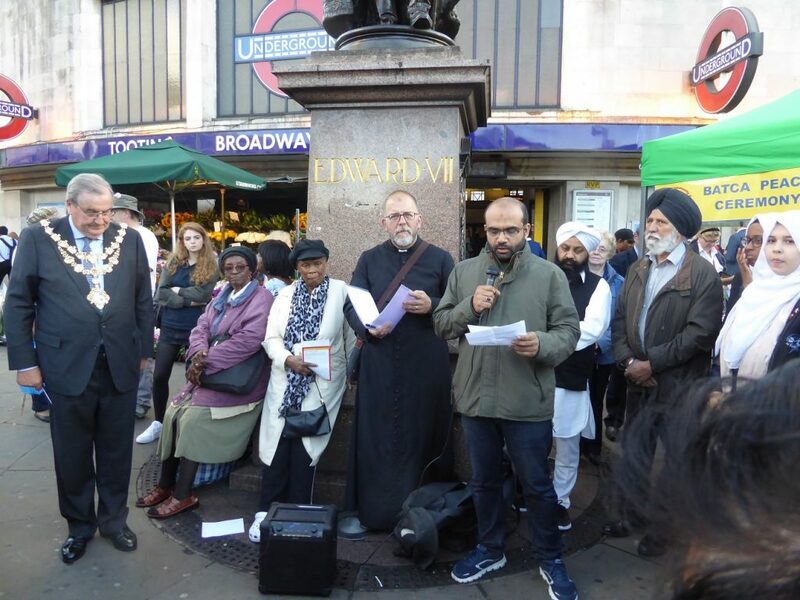 The four faith leaders who spoke or prayed (Buddhist, Christian, Muslim and Sikh) were inspiring, and emphasised the interdependence of faiths and cultures and the need to respect and learn from each other. 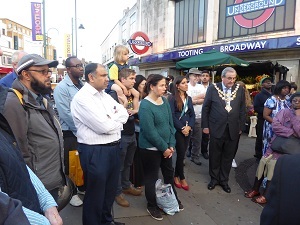 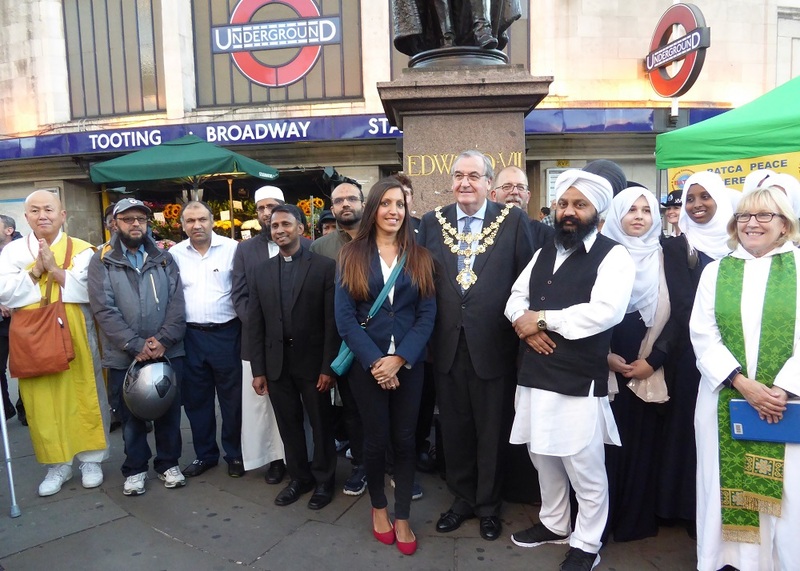 Dr Rosena Allin-Khan, MP for Tooting, and Councillor Richard Field, the Mayor of Wandsworth, paid tribute to the cohesion and resilience of Tooting’s community. 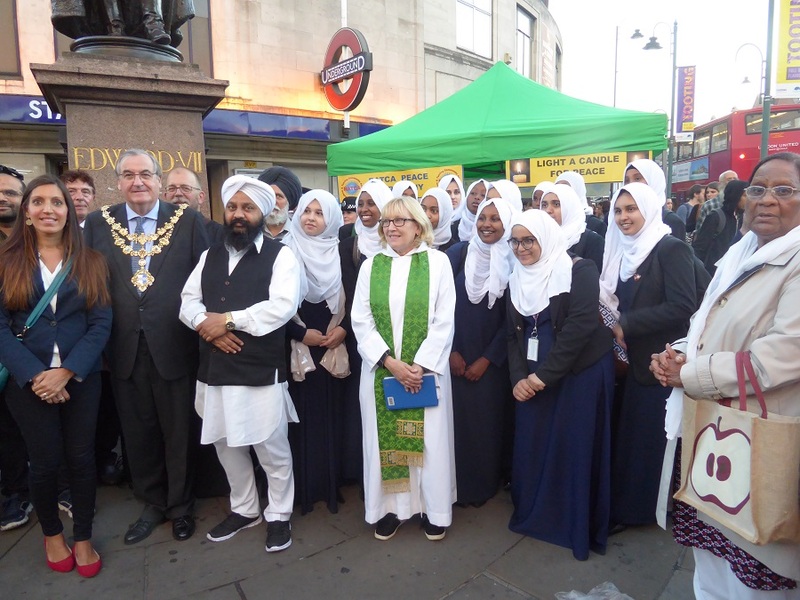 Two pupils of Al Risalah Muslim girls’ school spoke impressively of the responsibility we all bear for looking for ways to help tackle violence in our society and on our streets. 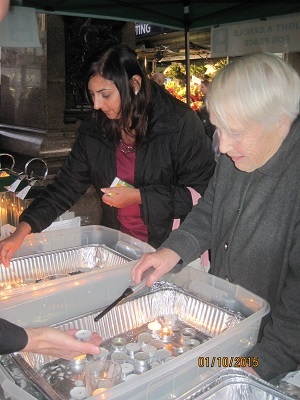 There was much interest from the crowd of passers by who gathered round and lit candles as the light fell.